Unless you happen to be a Master of Wine or Master Sommelier, employed in the business or working in a bodega’s solera in Spain, sherry can be intimidating. But each fall, I am called to it. As an aperitif (serving an elegant Fino slightly chilled) or with dessert (enjoying Pedro Ximenez) or anywhere in between, sherry has its place at both the patio and dinner table. But it is that multiplicity of style, perhaps, that is keeping more people from enjoying this delicious beverage. After all, there’s a place for Pedro Ximenez (think of Sauternes, Trockenbeerenauslese, Muscat de Beaumes de Venise and other sweet wines). Serving any wine, no matter how exceptional but matched improperly will not prove to be the rewarding experience you thought it would be. And money spent on a bad experience frightens one away from repeating the experience. There are actually only two forms of sherry made. Within those forms, there are variations we will get to later. But the best place to start is with an understanding of the two types: They are (1) FINO and (2) OLOROSSO. Both are made from the same grape (Palomino). The difference is in how the grape juice is allowed to become wine and where that vinification occurs. The “how” is more important than the “where”. In fino, the juice is protected by a layer of flor that develops over the liquid. Flor is simply a yeast (albeit unique) that forms over the top of the juice and protects it against exposure to air. Fino sherries are lighter in color. They are lighter bodied because that thick protective layer of yeast, floating on the surface, protects the wine against oxidation. Oloroso sherry is just the opposite. Oloroso wines are allowed direct exposure to air, usually via partially filled barrels in which the juice experiences oxidative aging. So what results? Without the protective covering, juice reacts with oxygen and the result is a wine with a deeper color and fortified to a higher level of alcohol. Generally, Oloroso sherry is produced from base wines (think Champagne’s base wine before blending or aging) but which are not considered to have the quality or delicacy to be made into fino. The decision as to how the juice will continue on (as Fino or Oloroso) is based on evaluating the base wine. At least that’s how it used to be. The modernization of the sherry industry, begun in the 1960’s and throughout the 1980’s, combined with centuries of experience and note taking gained from the bodegas’ solera masters now provide that winemakers can predetermine which of the two sherry types (FINO or OLOROSSO) each grape lot will become. So, selection really takes place first in the vineyard. Wines for the best finos are from the oldest vines and from those which have been grown on the best albariza soils. Olorosos are made from grapes having grown on heavier clay. Elegance is crucial to finos so it is comprised of “free run” juice which is less course and astringent than the pressed juice used in olorosos. Then there is the issue of barrels, fermentation temperature and other details both critical but not needed here, so let’s stay on course. Suffice to say, wine makers today are well aware of a cask’s propensity to develop a non-fino profile as well as ambient conditions that will besiege the flor thereby impacting the wine’s style. None of this means that one style is better than the other. Just as a white wine may be more appropriate to a dish than a red (or vice versa), a fino may be more appropriate than an oloroso. Then too, there is that never-ending issue of your preference. Generally, an Oloroso will be more full-bodied, higher in alcohol, darker in color and dominated by oxidative and caramelized aromas. Fino sherry will be more pale in color and lighter bodied. The biological aging process of fino sherry (so named because the changes in the wine are due to the action of a living organism, i.e. “yeast”) will result in wines with less alcohol than that of an Oloroso (oxidative aging). Also, the flor (yeast) feeds on acetic acid, lowering acid levels in the wine so made, but again – a detail better left to your follow up. Wines made as fino may be more “nutty” in character than Oloroso which should display more raisin. One of the variations of these two types is Palo Cortado, my favorite. It begins as a fino – fortified to a low level of alcohol in order to permit the flor to flourish. However, during the aging process the flor dies and the wine ages both biologically AND oxidatively. It is, truly, the only accidental variation – though, as stated – the circumstance necessary for that can now be created, or better stated – encouraged. Nonetheless, it occurs as a natural process. All Sherry is fortified and in any Sherry intended to be a fino (i.e. aged under flor), the juice is fermented at lower temperatures than that used for olorosos. Too high a temperature and the flor dies. The same misfortune occurs if fortification with grape spirits results in an alcohol strength much above 16%. Finos are generally fortified to 15% or 15.5%. Olorosos, which mature without flor, are fortified to approximately 18% (which would kill the flor on a fino). Despite how carefully the process is moved along, sometimes the flor of this juice from the best lots in the best soils and oldest vines and fermented under cool temperature without exposure to wood and protected from heat; this juice that is free run and has been so carefully tended to and has been pre-selected to be a fino will never become so. The flor has died. Sometimes, it doesn’t even form correctly. There are other styles of Sherry that also begin as a fino . The winemaker, looking at the flor and observing its character evaluates the wine’s character and potential. Amontillado, for example, starts out as a fino but is fortified to 16%. Flor cannot survive and the aging continues oxidatively. This is not an Oloroso because it began as a Fino. But it is also not a chance occurrence. Consider a wine of this style to be an aged fino. These dry wines are amber colored, rich and nutty. Less costly Amontillados can be made by blending and are usually sweetened. Avoid them. This essentially concludes the “how”. Earlier, I referred to variations also resulting from “where”. 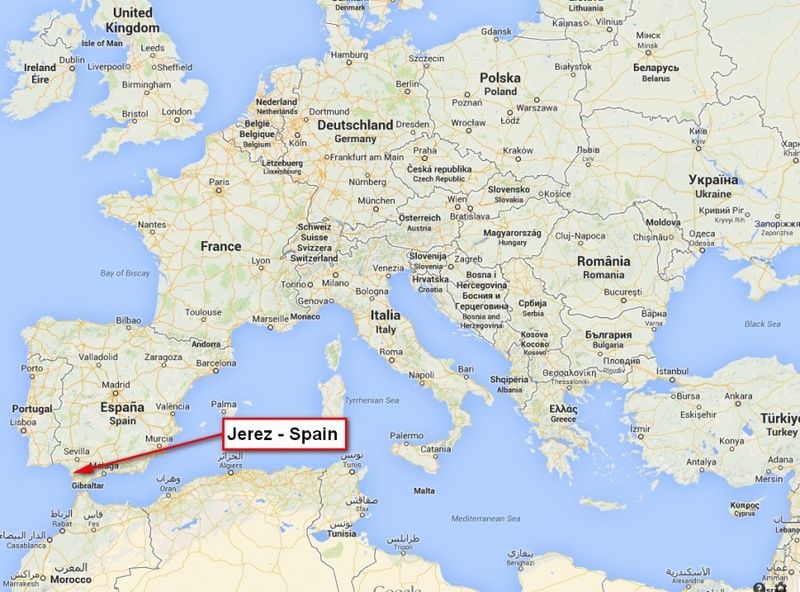 There are three areas notable for Sherry production within the Jerez D.O. 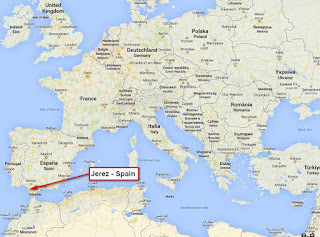 : Jerez de la Frontera, Sanlucar de Barrameda and Puerto de Santa Maria - all in Spain. Growing conditions (soil, temperature and other factors) will impart subtle differences to the wines, and wines may be differently labeled. A fino beginning to take on characteristics of an amontillado may be labeled as a fino-amontillado, but will be known as a Manzanilla Pasada if from the Sanlucar de Barrameda. It is very pale, light and dry but influenced by the unique flor of the maritime air of that specific area. It may be rendered as a Fino or Oloroso. Lustau also makes available an Almacenista “Fino del Puerto”. But this too will clearly identify the style as "Fino", the difference being that it was produced in Puerto de Santa Maria. Differences are subtle, but appreciable to Sherry lovers. There are also sherries that are sweet in style. Some may remember Paul Masson’s “Rare Cream Sherry,” but that was made in California and was a blended wine and not a Sherry as the Spanish would know it. Also, very popular amongst those enjoying sweet drinks, was Cream Sherry, Croft’s Pale Cream Sherry and Harvey’s Bristol Cream. Most Pale Cream is the same as Cream, being a blend of non-distinguished sherries with sweetening added; the Pale Cream having its color removed by charcoal. The Spanish eschew these wines. There is one sweet sherry, however, called PX or Pedro Ximenez made from a grape of the same name. It is Sherry from Spain, through grapes likely have not been grown within the Jerez D.O. Intensely sweet, raisiny and brown amber, it is available also as a vintage wine and always made from dried grapes. Oloroso dulce (sweet oloroso) is a blended wine using a portion of sun-dried Pedro Ximenez grapes along with Palomino. Along with other things on the label, you might see initials such as VOS (Very Old Sherry – blends at least 20 years old) or VQRS for sherries at least 30 years old. These initials will influence price. A good sherry brand to start with is Lustau. Despite Palo Cortado being hyped as the rarest of all varieties (100,000 bottles produced per year vs 60 million overall) and therefore very expensive, you can find Lustau’s Palo Cortado “Peninsula” Sherry at most large retailers. Robert Parker’s Wine Advocate awarded it 96 points; Wine Enthusiast 90. Its ARP is under $20. Serve it very slightly chilled and expect aromas of vanilla, burnt butterscotch and molasses. On the palate: brandied raisins, baked apple, brown butter, a hint of soy sauce, maple and almond with a suggestion of vanilla and resinous notes. Taste it against an Amontillado and a Fino. Keep notes of your experience. The aging process, flor, location of vinification and other things influence the end result. Your own palate will tell you what you like. Here are some pairing suggestions to get you started in your journey with Sherry. Manzanilla (A light styled-Fino, with salinity, from Sanlucar de Barrameda): Sushi, Oysters, Smoked Salmon. Grilled octopus or calamari. Fino: A charcuterie board with jamon, olives, nuts, white asparagus wrapped in prosciutto and unaged Manchego cheese. Gazpacho with crusty bread. Mussels in white-wine sauce. A salad of French feta and sliced grape tomatoes. Amontillado: Paella (made with ham, chicken or sausage), Risotto with mushrooms, Grilled tuna. Fig & Olive Tapenade. Palo Cortado: My favorite is pink shrimp grilled in walnut oil and seasoned with Chef Prudhomme’s “Seafood Magic” (not shrimp) with diced sweet onion then garlic added later. This breaks all the rules, but with the shrimp seasoned as it is, it works very nicely. Asparagus and mushroom risotto also works for me. Consider too pheasant and quail served with a mixture of wild and other rice with dried fruit. Oloroso: Pork, pigeon, duck. I like duck breast with a cherries in a cherry sauce reduction. Spanish soup (Olla Polrida). Flan. PX: Desserts, As a drizzle-garnish on black bean soup or waffles. Coffee & fine chocolates. Crème Brulee. Note: The above wines are listed from lightest to heaviest in style. Historical Note: Chocolate Molten Lava Cake allegedly was a mistake, created by New York chef Jean-Georges Vongerichten in 1987. The story goes that he removed a chocolate sponge cake from the oven before it was done and found that the center was still runny, but was warm and had both a good taste and texture. This mistake, like Palo Cortado Sherry, became popular worldwide and became a wonderous discovery. Unlike the Sherry (whose origin is not contested) the Molten Lava Cake is claimed also to have been invented intentionally and in France by chef and chocolatier Jacques Torres. Either way, these “mistakes” have been blessings!